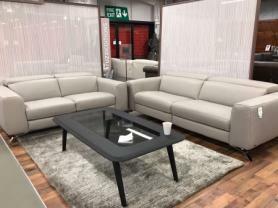 Natuzzi Editions B995 Tullio Cinema Sofa. 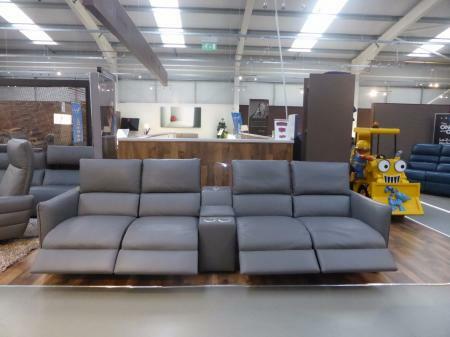 This luxurious sofa is fully upholstered in full beautiful high grade mid grey genuine Italian craftsman leather for the ultimate comfort without comprimising style. Featureing four whisper quiet electric recliner actions and four manual ratchet headrests, this sofa allows you to relax with a variety of options at the end of a hard day. 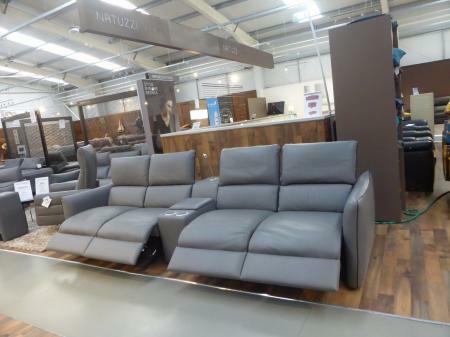 With its sleek, modern design and slim space saving arms for maximum seating, the Tullio is the ultimate choice for any home living space. Available from stock in this colour way with either straight or wedge staorage/drinks holders with touch operated adjustable lights. As photographed measures 319cm wide x 105cm deep however it is made up of modular sections which can be added or removed to suit your individual requirements. 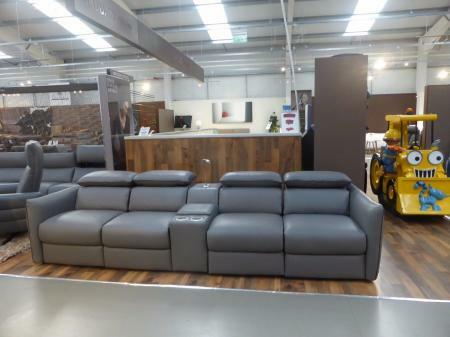 Come down to Furnimax today and experience this opulent sofa for yourself.